After the “Spyglass” single pushed the now-expanded Caelestis towards a new direction the line-up disintegrated due to mounting interpersonal conflicts between its some of its members. Piero Avatibile (keyboards) moved to the background and into a more consulting role whereas ties were severed with bass guitarist Fabiana Figurati-Haeckel. 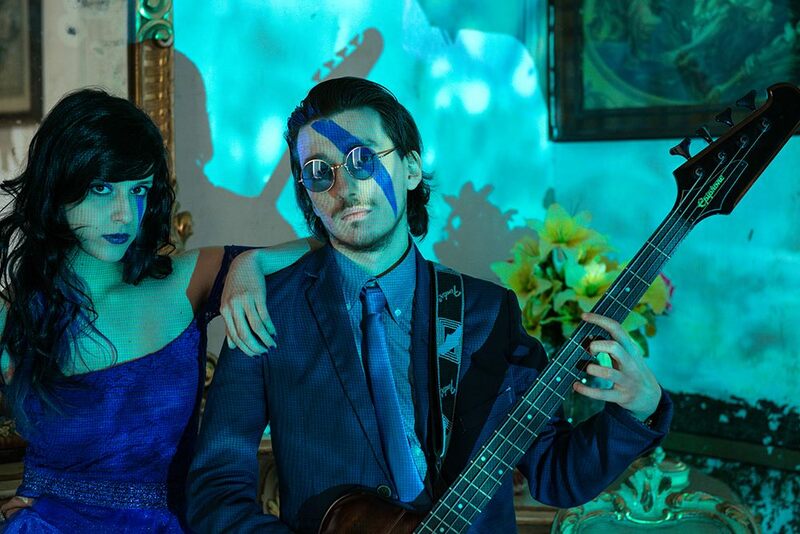 “Telesthesia” is the first record since 2012’s “Nel Suo Perduto Nimbo” to have Caelestis slimmed down to the duo of Cataldo Cappiello (instruments) and Vera Clinco (vocals) again. Caelestis has evolved drastically since forming in 2010. “Telesthesia” combines the best of all previous eras. “Telesthesia” combines the lush production values and pop inclinations of “Spyglass” with the shoegaze, gothic and alternative rock of “Heliocardio”. Vera Clinco has never sounded more powerful, emotive and sensual. For the first time Clinco contributed to the lyric writing, and this results in an even more passionate performance on her part. Having fully abandoned the incidental metal stylings in favor of dreamy minimalism “Telesthesia” is a record mostly concerned with atmosphere and feeling. No longer limited by the restrictive trappings of its superficial metal stylings Caelestis now finally have returned to the dreamy soundscapes of its pre-Clinco era. The album title refers to extrasensory perception, the supposed ability to obtain information without the use of normal sensory channels. ‘Ode al Mare’ is, as it title suggests, about the symbolic meaning of the sea, and an ode to its beauty and dangers. ‘Yugen’ is the appreciation and beauty of art in Japan. It values the power to evoke, rather than to directly state. In Chinese philosophical texts it means deep, dim or mysterious, and it describes the subtle profundity of things. “Telesthesia” on the whole is a rumination on the beauty of life, the lightness of being, desire and love. “Telesthesia” combines all of the different philosophical – and cultural interests of interest to its central duo. ‘Simboli’, a near minute-long instrumental intro, is a callback to the band’s early serene lounge sound. ‘Etra Diva’ - the first real song - is a strong, emotive opening track that serves to set up lead single ‘Ode Al Mare’. Both cuts push the “Heliocardio” dreampop sound into better written and pristinely produced territory with Clinco’s soaring vocals and Cappiello’s minimal, floating guitar melodies taking the forefront. The only thing not to grow along is the drum programming, which sounds amateuristic at best. ‘Etre Diva’, ‘Ode Al Mare’ and ‘Yugen’ form the titular conceptual trilogy. ‘Convulsa Delicatezza di un Desideridio’ has lyrics written by Vera Clinco, a first for Caelestis. Hopefully she’ll continue to contribute more than just her angelic vocalizations in the nearby future output of Caelestis. “Telesthesia” is the most ambitious Caelestis product thus far in production and presentation. The album was recorded at Black Eight Studios with Nico Esposito handling the production. Esposito gives “Telesthesia” an airy, breezy sound that is tonally rich and much warmer sounding than the preceding “Spyglass” single, and the earlier “Heliocardio”. The cover make-up and photography was done by Bianca Parisi, with additional photography by Imma Ercolano. Design and layout was handled by Caelestis multi-instrumentalist Cataldo Cappiello for ExNovo Studio. On all fronts “Telesthesia” is a marked improvement for the duo. Having at long last abandoned the last of its circumstantial metal aspects and “Telesthesia” stands high above its precedessors. Now headlong into the post-rock/shoegaze and dreampop genres Caelestis has embraced all components that play up to the considerable strenghts of its creators. From “Telesthesia” Caelestis can move forward into any direction. Obviously Clinco’s sensual vocals fit the best with a smooth lounge or chill pop sound. Cappiello is at his best within a minimal setting, whether this is electronic, acoustic or wave-like ambient. 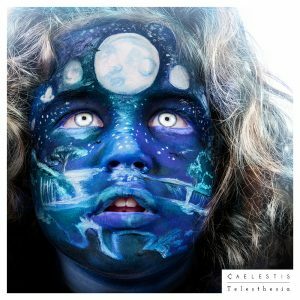 Minimalism is what drove the early output of Caelestis and returning to that setting, after briefly flirting with gothic-pop, “Telesthesia” sets the stage for exploration of any of its associated subgenres.